We decided to get festive this Halloween with another fang-tastic giveaway over on Twitter! Our spooky seamstresses have weaved their mysterious magic over our fabulous fabric to create a cauldron that is positively bubbling over with candy! 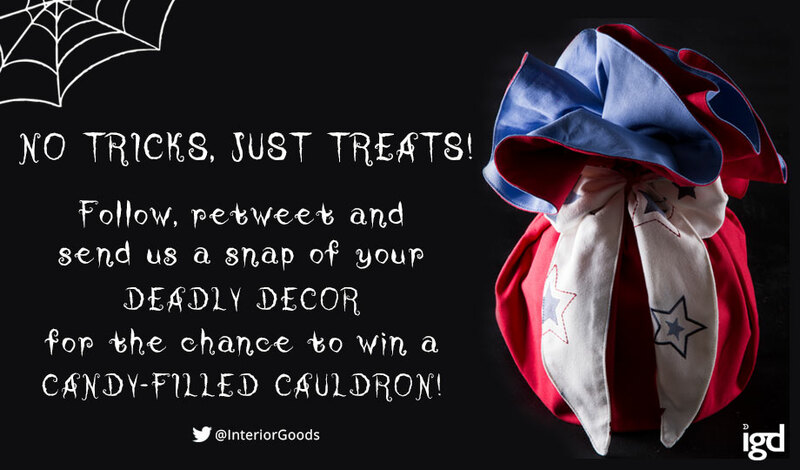 We are giving our followers on Twitter the opportunity to win this cauldron for their own home, simply by sending us a snap of their deadly decor! Simply follow us on Twitter and retweet the pinned tweet at the top of our page, with a pic of your Halloween home decor. To add to the spook factor, we’ll be announcing our winner at midnight on Friday 4th November, giving you just three deadly days to enter.